I love winter. For me, there is something inately satisfying about the season. I love snow (though I prefer it no more than ‘slog’ deep) and the crisp temperatures. Winter is so beautifully quiet and still, its colors remarkably unpretentious and pristine. The air is so clean and fresh, one can breathe in winter. My favorite holidays fall in the cold months, and there is no other time so perfect for curling up in a comfy chair with a cup of hot spiced chocolate beside a warm fire. Winter automatically lends itself to introspection, and the new year to a recap of the previous year, of what was and what might have been, and an honest evaluation of the best next moves. Winter also lends perspective, and encourages expectations. Writing occupied a large chunk of thinking about expectations for 2018. 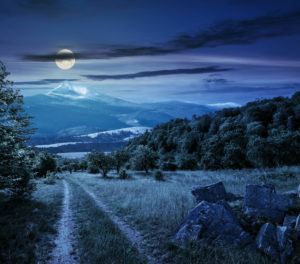 Not only do I hope to finish the Ballads of the Roses series with Marc’s story, The Stones of Rose, and a novella, Taming the Pale Rose, but I am planning a trilogy, Realm of Carthanna, best described as fantasy medieval romance. 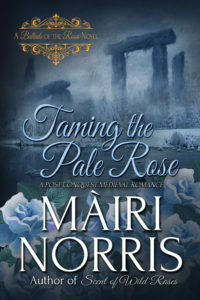 If all goes as hoped, Taming the Pale Rose, a prequel to The Stones of Rose, will be available around the first of March, and since I am more or less writing both books together, Marc’s story should be out about not long after. I wish for all of you that your best expectations are met in the coming year.